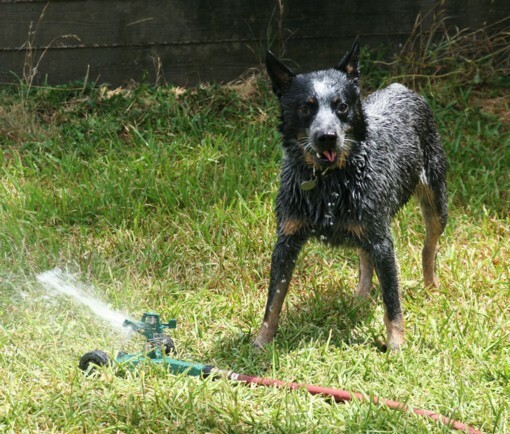 In this time of extreme drought, we do not water our lawn or wash our cars. I have cat pawprints on my windshield that have been there since June. We are careful with our water, and each precious drop goes to the animals. That said, we did allow for some summertime fun this weekend. Other Half dug in the garage and found a forgotten water sprinkler. 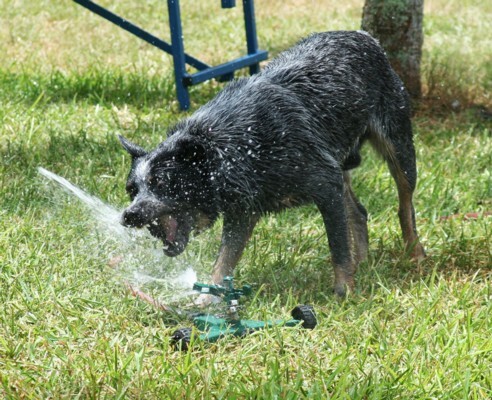 Like inner city children with an open fire hydrant, the dogs played in the water for about 5 minutes. 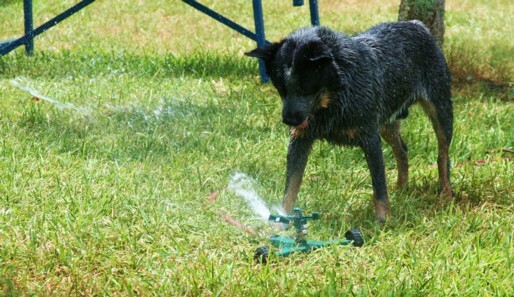 Everyone had great fun, but someone monopolized the sprinkler . . . Still not allowed to use sprinklers and are on level 2 restrictions even tho many of our dams are next to full now. Do you have water tanks? Very popular here now. They were banned in urban areas for yrs before drought. Now they come in all shapes and sizes including under house or under ground bladders. 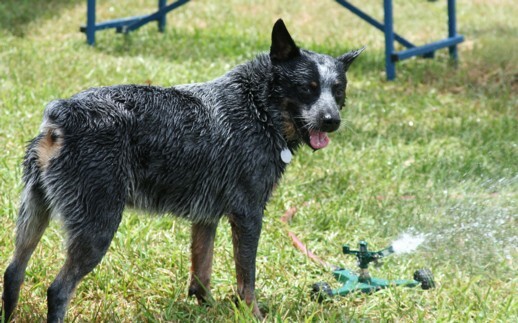 Just realise heeler has no tail. Was he hurt or is this norm? They have a great tail. looks like great fun! and you were using the water for animals. 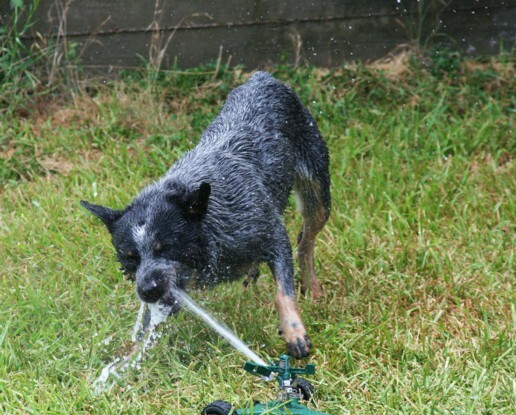 Claire as a pup loved water spray. as a geriatric, she just goes to hide behind the tree. I do so wish he had a tail! I like tails on dogs. A lot of the ranchers dock the tails on heelers. I don't care for it, I like a dog to be able to have a rudder when he's working stock.